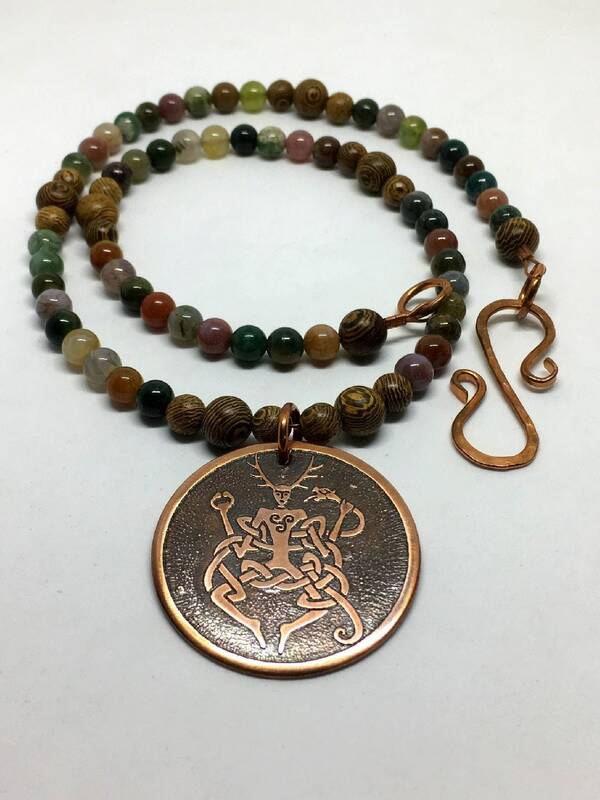 This beaded necklace is made This beaded necklace is 21.375 inches in length and features gorgeous natural India Agate gemstone beads with bold grain Wenge Wood beads accented to break up the unique Agateinto sections. 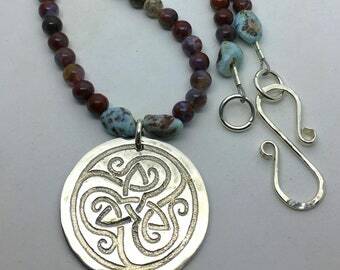 The clasp is a secure and easy to handle s-hook made of Copper. 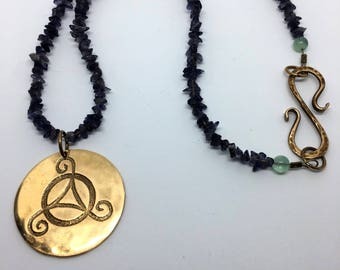 As with ALL of my beaded necklaces, 100% genuine gemstones are used and they are strung using the strongest stainless steel beading wire on the market. 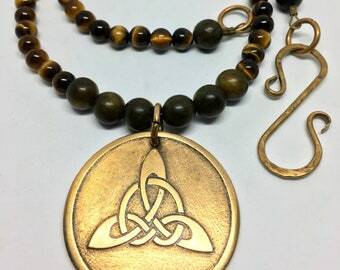 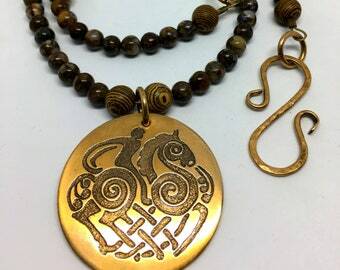 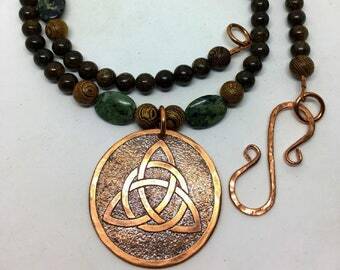 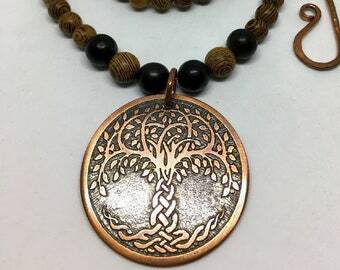 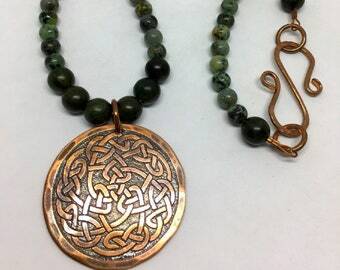 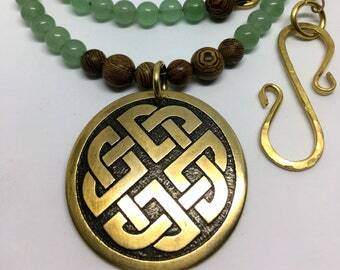 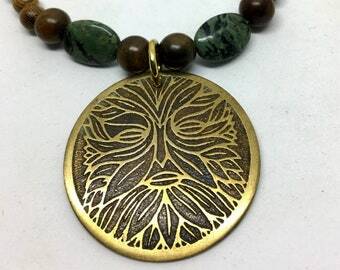 The pendant is copper that has been etched with an ornate depiction of the Celtic Horned Deity known as Cernunnos. 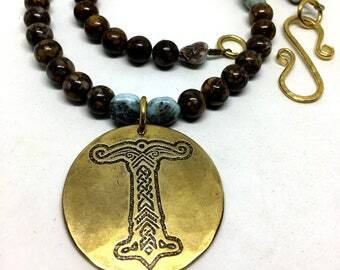 He is shown with stag horns, sitting cross legged holding a torc in one hand and a serpent in the other. 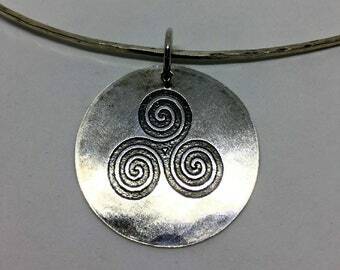 Also it shows a triskelion on his chest.